Something that is wonderful about today’s world is the number of choices we have at our disposal and the ease in which you can obtain whatever it is that you seek. The internet offers a plethora of information right in your home, helping you make the right choices. However, this blessing also brings certain confusion with it, namely the inundation of information thrown your way. Questions arise! Who do you listen to? Is the website you are looking at the right one? Is your choice of a delivery channel the most practical and the best value for money? The list is endless. So, what do you do? You focus on authority websites that provide serious material and have a certain reputation for supplying relevant and unbiased information. You may ask yourself, what all of this has got to do with the choice of the right mattress and your chronic back pain? A lot. When confronted with something so unpleasant, you don’t want to make any mistakes. You need a solution and as quickly as possible. You’ve been to the doctor, and he or she has provided you with the diagnosis. Apart from handing out prescriptions, the general practitioner suggests that you make a change in the bedroom. Basically, you are told that you need a new mattress! But first things first. You need to get to the root of the problem and understand it before you start seeking out a solution. If you have chronic back pain, then you most probably know what it is. However, one thing to remember is that you are not alone. Approximately 80 percent of adults experience it at some point in their lives. Men and women are equally affected. It has many causes, which can stem from accidents, heavy lifting, or age-related changes that are more pronounced due to our sedentary lifestyles. Important to know is that back pain can be acute, lasting a few days, generally subsiding without medical care. Or subacute, defined as lasting between 4 and 12 weeks, warranting a visit to the doctor. Chronic back pain persists long after a 12-week period and after treatment for the primary cause of short-term back pain is exhausted. It is very unpleasant, and many of you out there who suffer from it might even deem the word ‘unpleasant’ as far too weak an adjective. There are many effective ways to help relieve your back pain. However, here, the primary focus is the benefit of the right type of mattress to reduce that chronic back pain. This is essential for no kind of therapy, medication or another method can efficiently work if you are still spending one-third of your day in a bed with a mattress that does not suit your needs. The mattress industry has gone through some significant changes in the past few years, accelerating a great deal, in let’s say, the past five or six. When you used to go to a store to buy a mattress, many of us now opt to buy via the internet. Not only does this scrub out the middleman and location premiums, thus making things cheaper, it also has made the mattress and the corresponding information that goes with it a lot more accessible. 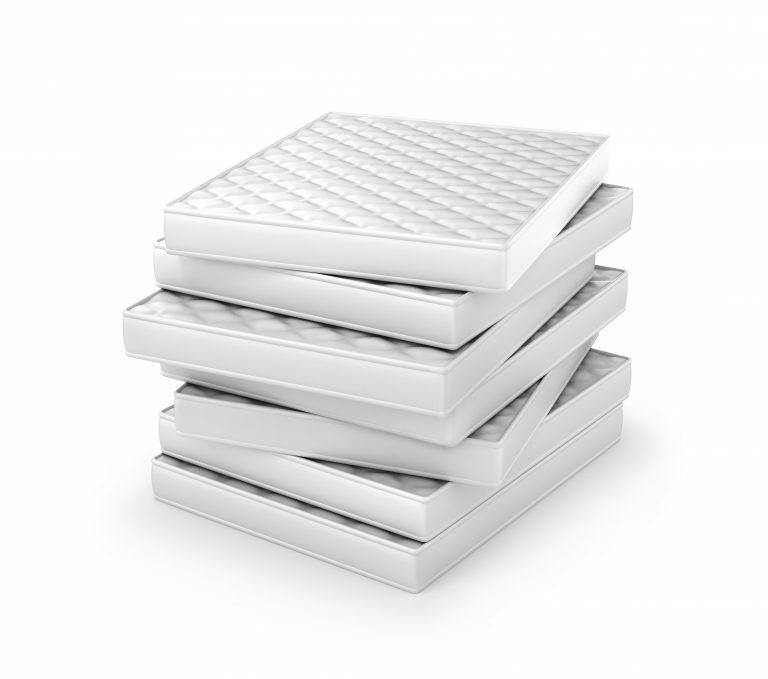 What do many of you know about mattresses? Before suffering from chronic back pain, it was enough to have something comfortable, and that’s it. Now, you need to read up. What was once important no longer bears the same resonance. The mattress is no longer a playground or just a place of rest, but it also functions as a remedial shrine that could change your life for the better. This article aims to break down the process of buying an excellent mattress to counter chronic back pain into comprehensible chunks. It will take a look at some of the best options out there and help you make an informed decision that may be one of the most important in your life. So what should you take into consideration when buying a mattress for back pain? A few things come to mind. The most important of which is the level of firmness; this is a crucial aspect when in search of the right mattress that is best for your back. If it is too soft, it will leave you laying in an uneven posture, consequently aggravating the symptoms. If it is too hard, it might make you feel uncomfortable and worsen your pain because this type of mattress won’t adjust to the contours of your body. The answer is something in the middle with slight variants to the up and downside, depending on your sleeping habits and body weight. A mattress in this category caters to all types of sleepers. Say for example you sleep on the side. In this case, you need something slightly softer (but not too soft) to allow for the contours of your hipbone and shoulder to find an ideal position. Back sleepers prefer a slightly harder surface. This type of mattress is considered one of the most suitable when you are suffering from chronic back pain. Unlike traditional models that are stiff and inflexible, the memory foam mattress fulfills the requirements needed to support your ailing back. It adjusts to the shape of your back, allowing for just the right amount of depth so that your back is held in just the right position. With the right amount of support and firmness, it provides sufficient cushioning to the shoulders and hips, while at the same time supporting your back. Many people swear by them, but they don’t suit everyone’s purpose. Memory foam mattresses feel very different from lying on a regular sprung mattress. As they have a viscoelastic surface that is temperature-sensitive (so-called memory foam), it might not be the right choice for you – due to the material it captures your body heat to such an extent that it might feel unpleasant. However, many people claim it is the most comfortable mattress out there when suffering from back pain. There is no better way of finding out than lying down on one and testing it. You will soon know whether you can deal with a slightly higher sleeping temperature when the benefit is a pain-free back. This is the most popular and generic kind of mattress (also known as the traditional model) that can offer a great deal of comfort and support. The downside is that this type of mattress does not adjust to the shape of your body with the same efficacy as say a foam mattress. Also, the pocket-sprung mattress does not provide the same level of warmth as the foam mattress, which might be a benefit to some of you, but a deficiency for others. All in all, no matter how attractive the pocket-sprung mattress may seem, it is not the best choice if you suffer from chronic back pain. They are very attractive to the eye because often they are presented as box spring, and they are higher than other types of mattresses, but their molding properties are next to non-existent. Even though a few people swear by them, this model is not the way to go. These environmentally friendly mattresses are mostly made of latex rubber. Although, there are versions made of synthetic materials. One of the very good things about this type of mattress is its anti-bacterial, anti hypoallergenic and anti-mite invasion properties. If you suffer from allergies, this mattress is perfect for you. However, latex mattresses are very firm. They do not have the same body-shaping characteristics as say the memory-foam mattress. So, unless you like a hard mattress, this may not be the right choice. These models are made of hourglass-shaped coils that connect via wires with the effect that they distribute your body weight evenly across the surface. Due to materials like tempered steel, these mattresses are sturdy and resilient. Also, in contrast to the other options, they do not cost the world. People on a budget and suffering from chronic back pain might opt for the open coil mattress because of its firmness and the price. It is excellent value for money, but there is one hitch, the coils wear away quickly and begin to slump. Last but not least, comes this particular option. Most of you might have slept on one when visiting a friend – the air mattress is pumped up in the living room and hey presto, you are ready for the night. But have you ever considered sleeping on one permanently? They do have an edge over other standard mattresses in that they have air chambers inside. Also, they can be deflated when not in use and are also adjustable to each person’s comfort. This particular mattress might be the ideal choice if you have exhausted every other avenue of curing your back pain. If you do end up with one, its dual air chambers that allow for adjustment in the level of firmness might be just the ticket. Do think of the previous options first though. Now that you have an idea about the different types of mattresses available to you, you need to know something about the brands that are out there. Mattress brand review will provide the necessary insight and help you make the right choice. And when doing so base your decision on what makes you feel right and not only the cost and the look. Let’s hope that this article helped you find the solution to help cure your chronic back pain. As we all know sleep is important, but feeling well and pain-free is all the difference between just getting by and a great life.